Teaching Food Systems and Sustainability in Nutrition Education and Dietetic Training: Lessons for Educators 2013 – This special volume is a resource for educators published by the Hunger, Environmental and Nutrition Journal. Making It Happen – Click to view posters with useful tips aimed at principals, teachers, students and parents. Metro Vancouver School & Youth Leadership Programs – Inspiring students and teachers to get to know, value and care about the place they live and the systems they depend upon. Find engaging and curriculum-connected field trips, teacher workshops, K-12 resources, videos and youth leadership programs. Life Lab – An excellent & comprehensive site offering curriculum resources, educational workshops for families and educators, and inspiring testimonies for outdoor classrooms and food literacy. Demonstrations in Soil Science – This is a site created at Purdue and features a collection of soil experiments that can be used in the classroom or for science fair exhibits. Dr. Dirt– Dr. Dirt, a.k.a. Dr. Clay Robinson of West Texas A&M University, aims this site towards grades K-8. It contains over 15 modules for students to learn about erosion, irrigation, the nutrient cycle of soils, global implications of soil, and much more. Students can check out the FAQ or submit their own question to Dr. Dirt. Education Center: The Plant Health Instructor (K-12 Plant Path-Waysto Science) – Sponsored by the American Phytopathological Society, this site is chock full of information for teachers and experiments for the K-12 set. It contains upcoming programs and workshops for science teachers to keep current, lesson plans, and an illustrated glossary. Experiments cover plant viruses, parasites, and fungi. The Great Plant Escape – This clever, award-winning site, in both English and Spanish, offers six “cases” for students to solve involving the impact of plants and crops on people. Hosted by a carrot and a sprout, each case is set up like a mystery that walks kids through outcomes for each case, background materials and facts, definitions, and experiments. Natural Resources Conservation Service K-12 Resources on Soils– This site contains a list of soil-based lesson plans not listed elsewhere in this list. Soils Sustain Life: Educational Resources for Teachers– This site, developed by the Soil Science Society of America, includes lessons and experiments, such as soil texture analysis and creating crayons out of soil, and is useful for most any area of the country. Other helpful resources include soil facts and definitions. Evergreen: School Ground Greening – Evergreen, a Canadian environmental charity provides resources, funding, and training for many greening projects, including schoolyards and community gardens. An excellent site with a wealth of information for educators. Environmental Youth Alliance – This site offers volunteer opportunities, internships and mentorships for youth engaged in sustainability initiatives, as well as tools and workshops for educators. Richmond Schoolyard Society – Based in Richmond, B.C. 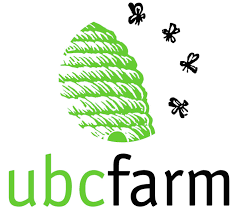 this charitable organization provides opportunities for elementary students to grow food and learn from the garden. Resources for Rethinking– Canadian educational non-profit focused on knowledge, skills, and perspectives to enable a sustainable future. Offers in-depth discussion on alternative pedagogical practices for hands-on learning as well as practical curriculum connections to foster environmental learning. An excellent site for educators! Gabriola Island, BC: New Society Publishers, 2001. The editors of Green Teacher magazine present an anthology of articles by educators and practitioners to guide teachers through all phases of a project, from winning the support of administrators to designing and creating to exploring the multiple educational uses of school nature areas. Berkeley, CA: The Green Schools Initiative, 2005. This downloadable 40-page guide from the Green Schools Initiative presents a framework and many examples for envisioning and reforming schools to provide healthy environments for students and staff and to promote ecological sustainability. Quarterly magazine featuring ideas for rethinking education in light of environmental and global challenges. Includes practical articles and ready-to-use activities and evaluations of books, kits, games, and other resources. Gruenewald, David A., and Gregory A. Smith, eds. Frames place-based pedagogy as part of a broader social movement reclaiming the significance of the local, and links the development of ecological awareness and stewardship to concerns about equity and cultural diversity. New York: Penguin Books, 2008. Shows how groups around the world, ranging from neighborhood associations to well-funded international organizations, are confronting such issues as environmental destruction, social justice, and the loss of indigenous cultures. “Economic growth as we have known it is over and done with,” writes Post Carbon Fellow Richard Heinberg, with profound implications for our accustomed ways of organizing economies, politics, and daily life. FoodSpan is a free high school curriculum developed by the Johns Hopkins Center for a Livable Future that empowers students to make healthy and responsible food choices. Features include: 17 lesson plans, 2 short films, and 100+ hands-on activities and extensions that can serve as homework assignments or group projects. FoodSpan lessons are aligned to US education standards, relevant to students’ lived experiences, easy-to-use, and customizable. Educators can choose to work through the entire curriculum or teach stand-alone lessons on topics of interest. Bite-sized introductions to big ideas about the food system. Developed by leading experts and educators at the Johns Hopkins Center for a Livable Future, the Primer offers short, easy-to-digest readings about topics from farm to fork, peppered with anecdotes and images that bring concepts to life. Directories of articles, reports, lesson plans, and other resources help food system scholars dig deeper into the issues. Montpelier, VT: Food Works/Common Roots Press, 1998. A practical, step-by-step guide for creating successful youth gardens, with activities, project ideas, and resources for teaching communities about living sustainably in their local ecosystems. New York: Harper Perennial, 2008. The acclaimed novelist reports on her family’s move to rural Virginia with the intention to buy food raised in their neighborhood, grow it themselves, or do without it. Lappé brings the climate discussion home with sharp analysis linking food, personal health, and the health of the planet. She concludes with seven principles for a climate-friendly diet, with numerous practical steps to put those principles into practice. Thinking like an ecosystem — attending to patterns of interconnection, change, and context — is necessary in order to answer the question, “What conditions enhance life?” and to avoid the thought traps that limit our effectiveness as agents of change. We are more powerful than we think, but misconceptions — about power, human nature, or how change happens — stand between us and creating a more just, sustainable world. Lappé counters those ideas with evidence from neuroscience and anthropology, as well as success stories for ways of living worthy of our planet’s needs and the best in us. Princeton: Princeton University Press, 2008. Traces the history of school lunch in the United States, with attention to the influence of the agricultural and commercial food industries and the consequences for the meals served to students. Berkeley: Center for Ecoliteracy, 1997. This collaboration of the Life Lab Science Program and the Center for Ecoliteracy offers a step-by-step guide for starting a school garden and integrating it into the curriculum. Lopez, Barry and Debra Gwartney, eds. A lovely evocation of the language of locale, with brief essays defining more than 850 landscape terms. Nearly four dozen writers including Gretel Ehrlich, Robert Hass, Barbara Kingsolver, and Terry Tempest Williams expound on fell field, ganderbrush, imbricated rock, palisade, tuckamore, and other words that speak precisely, often with distinctive regional accents, about particular places. Chapel Hill, NC: Algonquin Books, 2008. Louv argues for a return to an awareness of and experience in nature (including healthy stretches of unstructured time) for the well-being of both children and the natural world. Novato, California: New World Library, 2012. The authors outline a transformative process to equip us with tools to face the environmental and social crises before us, move beyond despair or paralysis, and contribute to a collective transition, “the Great Turning,” to a life-sustaining society. White River Junction, VT: Chelsea Green Publishing, 2008. Posthumously published book by one of the clearest and wisest writers and thinkers to apply systems dynamics to understanding and addressing problems on scales ranging from the personal to the global. New York: Oxford University Press, 2009. Orr describes in detail the long emergency that theatens human civilization, then offers a wide range of proposals to reconnect public policy and science, align our economy with ecological realities, and act as planetary trustees for future generations. One of the foundational books defining the role of education in responding to the sustainability crisis facing the world. Thirty-three seminal essays exploring ecological literacy by the premier environmental educator of our time. David Orr uses the story of the creation of the Adam Joseph Lewis Center at Oberlin College, the first substantially green building on a college campus, as the starting point for provocative meditations on ecological design and education for sustainability. New York: Penguin Press, 2008. Michael Pollan explores the replacement of food in Western diets with “edible foodlike substances,” and indicts the food industry and nutritional science for their complicity in shifting attention from food — and the pleasures of eating — to obsession with a nutrient-by-nutrient litany of isolated substances, viewed as the causes or cures for diet-related unhealthiness. Berkeley: University of California Press, 2010. Illuminates the “deep politics” of the National School Lunch and Breakfast Programs from perspectives including history, policy, environmental sustainability, nutrition, and taste. Draws from extensive interviews with officials, workers, students, and activists. New York: Houghton Mifflin, 2007. The author of Fast Food Nation tells the whole story of fast food, including its social and nutritional consequences, for preteen readers. 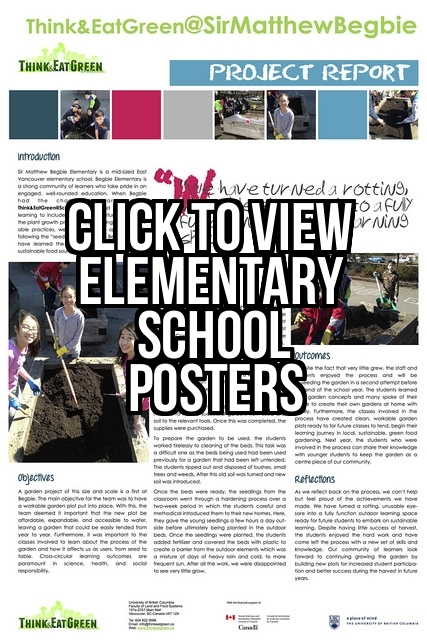 Weekly e-newsletter with relevant stories and instructional activities for school gardens. Applies the theories, tools, and methods of systems dynamics and organizational learning in order to give people a way to think about and act upon the underlying forces that shape schools and communities. This revision of the estimable Vermont Guide to Education for Sustainability reflects the changing field of education for sustainability and shares new strategies learned by the Sustainable Schools Project. Great Barrington, MA: The Orion Society, 2005. David Sobel argues for developmentally appropriate education that gives young children the opportunity to develop love for the natural world before confronting them with news of ecological disaster. A concise introduction to the movement to reconceptualize environmental education by connecting students to neighborhoods, communities, and ecologies, based on the work of Community-based School Environmental Education in New England. Topsham, ME: Green Horizon Books, 2011. Considers in particular four major areas — the economy, health and healthcare, community design and architecture, and education and parenting — that are being transformed by the understanding that all entities in the world, including humans, are composed of and nested within networks of creative, dynamic interrelationships. Healdsburg, CA: Watershed Media, 2009. 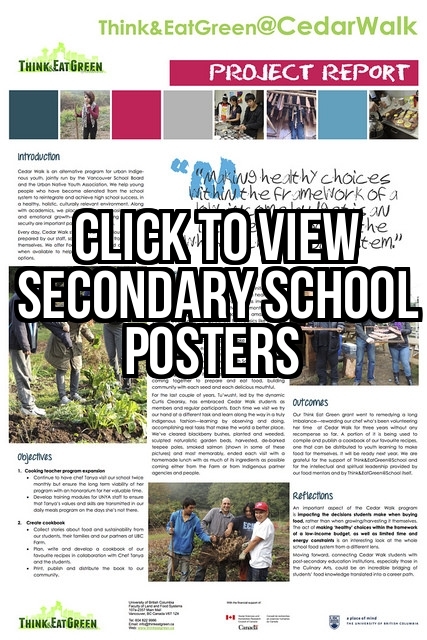 Documents the schooling for sustainability movement across the U.S. and describes strategies for greening the campus and the curriculum, conducting environmental audits, rethinking school food, and transforming schools into models of sustainable community. Stone, Michael K., and Zenobia Barlow, eds. San Francisco: Sierra Club Books, 2005. Presents the Center for Ecoliteracy’s conceptual foundations and chronicles some of the most successful Center-supported projects that put those concepts into practice. How do we learn to live sustainably — or within the means of nature? Through 12 timeless folktales and modern examples, readers from 10 to 110 explore how the laws that guide living systems can also guide how we live and learn. Companion CD available. New York and South Burlington, VT: Teachers College Columbia University and National Gardening Association, 2007–2010. This series from Teachers College Columbia University is designed to teach children to think scientifically, using scientific evidence to construct theories about food and food systems that can lead to choices that promote ecological and personal health. Shelburne, VT: Shelburne Farms, 2008. Order at www.shelburnefarms.org/prodinfo.asp?number=869. Contains lesson plans, tools, planning guides, and resources to help educators engage youth in creating livable and sustainable communities, based on the Healthy Neighborhoods/Healthy Kids program in Burlington, Vermont. Lanham, MD: Rowman & Littlefield Education, 2007. Provides psychological, sociological, historical, and philosophical insights into why community works so well as an organizing principle for high school. Twenty-seven essays from six continents presenting and discussing social learning in the context of sustainability, including “Social Learning in the STRAW Project” by the Center’s Michael K. Stone and Zenobia Barlow. Wals, Arjen E.J. and Peter Blaze Corcoran, eds. Thirty-one essays on sustainability in the midst of uncertainty, complexity and change, including “Living Systems, Sustainability Education, and Institutional Change” by the Center’s Michael K. Stone and Zenobia Barlow. San Francisco: Chronicle Books, 2008. Alice Waters tells the story of the Edible Schoolyard at Martin Luther King Middle School in Berkeley and the growth of the idea of Edible Education, integrating academics with the growing, cooking, and sharing of wholesome and delicious food. San Francisco: Berrett-Koehler Publishers, 2006. Guide to applying new discoveries in biology, chaos theory, and quantum physics to organizations of all types, and to our personal lives. Blair, D. (2009). The child in the garden: An evaluative review of the benefits of school gardening. Journal of Environmental Education, 40, 15-38. Gaylie, V. (2009). Imagine: Ecology and teacher education. Green Teacher Magazine, 84, 29-31. Graham, H., Beall, D., Lussier, M., McLoughlin, P., Zidenberg-Cherr, S. (2005). Use of school gardens in academic instruction. Journal of Nutrition Education and Behavior, 37, 147-151. Morris, J., Briggs, M., Zidenberg-Cherr, S. (2000). School-based gardens can teach kids healthier eating habits. California Agriculture, 54, 40-46. Weaver-Hightower, M.B. (2011). Why education researchers should take school food seriously. Educational Researcher, 40, 15-21.